Recently, I dialed up the inimitably funny GuruGanesha Singh to chat about his new tour and the maiden voyage of ‘The GuruGanesha Band’. 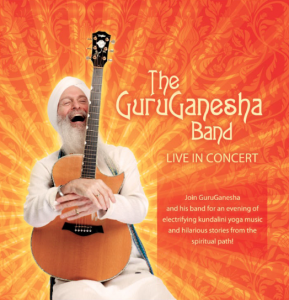 Kind as always, after a few sweet words, he got down to business…and business for GuruGanesha is a rhapsody of excitement and humor about what is unfolding for him musically. 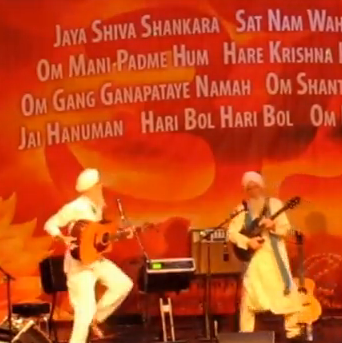 You can tell that he absolutely loves to play music and share spirituality through song. Ramdesh: So tell me about your first solo tour! Actually, it’s not really my first solo tour. I did an east coast tour back in the fall of 2008 when Snatam was having her baby. The tour was extremely well received and people have been asking me ever since when I’m going to do it again. Since I’ve been having such a wonderful time touring with Snatam all these years, I’ve kept the project on a backburner though I have released four solo albums (Grateful Ganesh, Pure Ganesh, Joy is Now, and Kundalini Surjhee) during that time. Upon turning 60 recently, and with the successful role out of my newest album, Kundalini Surjhee, the sense of urgency to take my own show on the road hit critical mass and so here we are. 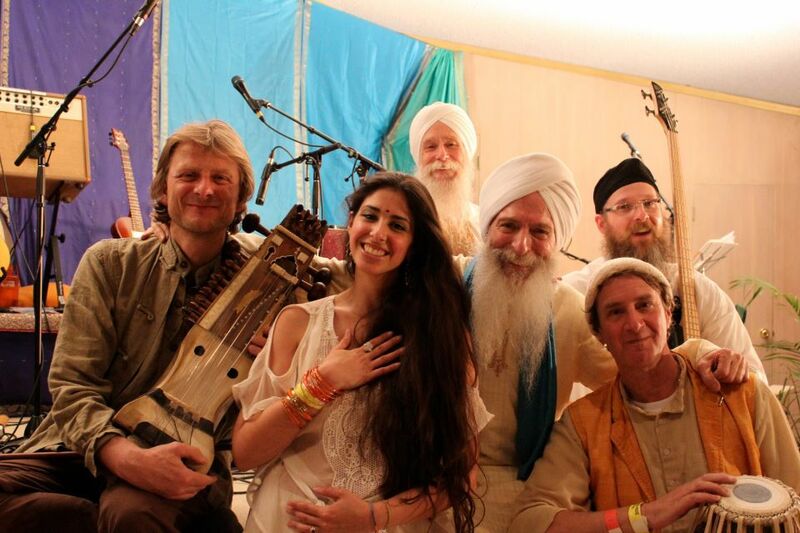 Ramdesh: What will ‘The GuruGanesha Band’ be like? Ramdesh: Where can people see you play? You’re going to see our debut Friday night at Spirit Fest in just a few days. We’re going to rock the house! Then in 2012 we’ll be doing three tours. We’ll do a West Coast tour starting in Vancouver the weekend of March 22-23 and heading down the West Coast for another 10-12 concerts and ending at Sat Nam Fest in Joshua Tree in mid April. Then May 18-June 10th, we’ll be touring the East Coast starting in Washington DC and ending up in Eastern Canada. Later in the year I’m going to go over to Europe and do a tour there for about a month. More details to follow!